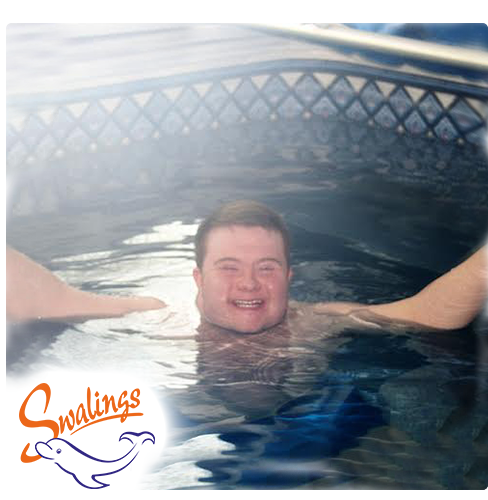 Private swimming lessons are available for all abilities and ages on a daily or weekly basis and are ideal for those looking to gain water confidence. Improvements can be made much more quickly due to having a 1-2- 1 ratio with the teacher in the water. Depending on your ability and needs, private lessons range from 30 to 45 minutes. Classes cater for children or adult beginners or those looking to improve their stroke work and stamina, we also have classes available for anyone with learning or physical disabilities. We come to you… whether you are staying in a hotel or private villa our instructors can offer you private 1-2-1 lessons. The best method of learning is an intensive course and what better place to spend a week learning to swim than in the sunshine of the Caribbean. One of the great things about swimming is its accessibility for everyone to join in and the benefits water can have on health and wellbeing. Swimming is often prescribed by medical professionals as a form of therapy. It is an ideal activity to improve your health and fitness. Being in the water allows your body to feel free and can enable movement that isn’t possible on land due to the weightless feeling of water. Our specialist 1:1 lessons for children or adults with Disabilities can have an amazing impact on our pupil’s lives. The therapeutic nature of water can help stimulate a person that may be coming to terms emotional, behavioural and communication disorders and neurological conditions such as autism. The possibilities are endless and the joy on the faces of students and teachers in these lessons is something to cherish.